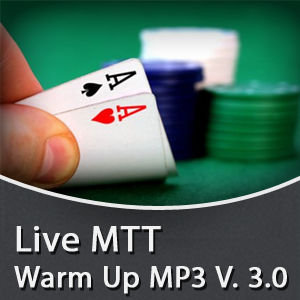 This MP3 is designed to get you in “The Zone” before you start a live mtt final table. 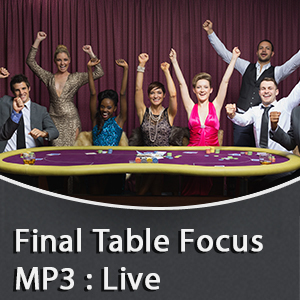 The final table is the most important time to play your “A game”, but the truth is, most players crumble under the pressure of these big moments. Using this MP3 just before play starts is a simple way to calm your nerves and get you locked in to play your best, so you can give yourself the best chance possible to place in the big money spots.